The Nike Air Force 1 High continues to grow in popularity. More and more releases from Nike have kept sneakerheads very interested in the classic sneaker. Continuing to bring us dope colorways, the newest release set to release is the Nike Air Force 1 High OG “White/Blue." This colorway of the sneaker is decked out in mostly white leather keeping the overall look very clean. Blue finishes on the tongue, inner lining, strap, and outsole adds color into the mix, creating the perfect contrast. 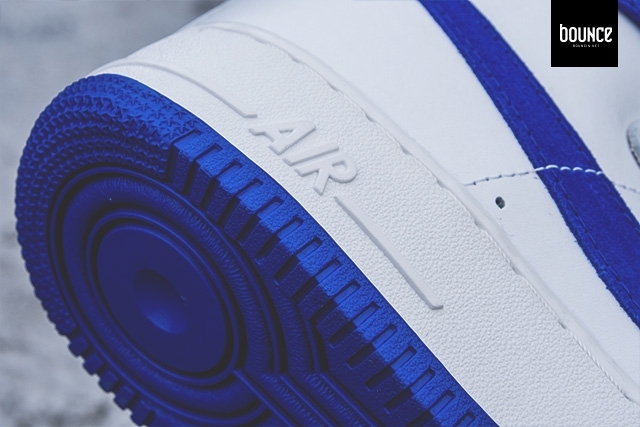 Complete with Nike Air branding on the heel, the Nike Air Force 1 High OG “White/Blue” will certainly turn some heads. Coming to retailers sometime soon, keep in touch with Sneakershouts for more information!